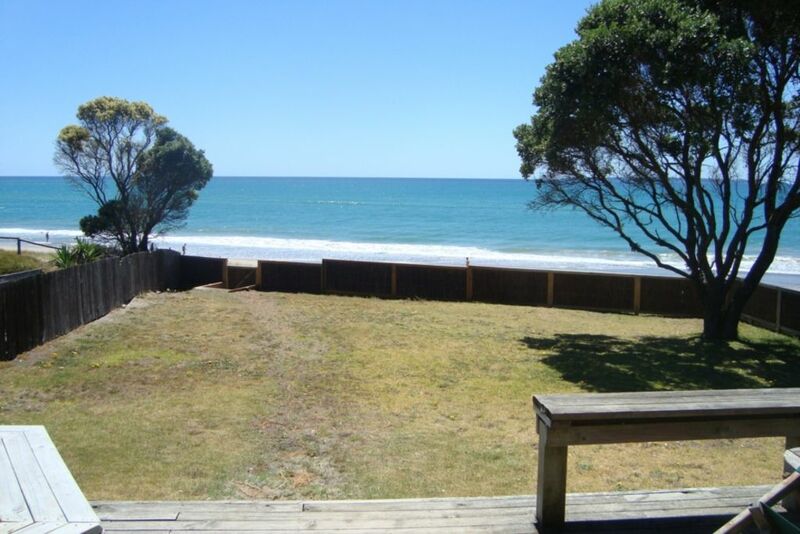 Absolute Beachfront Typical Kiwi Bach - Panoramic views of Motiti and Mayor Islands and Town Point (Maketu).Right at the far end of Papamoa Beach. You can swim,fish and kayak at your beach. Only 1.3 kms to the 4 Square, 2.5kms to the local shops, bar and restaurant, a 10 minute drive to Fashion Island with shops, supermarkets, cafes, bars and restaurants or 20 minutes to Mount Maunganui or Te Puke. Duvets blankets and pillows provided. Linen and towels available if required at $10 per person per stay. Kayaks and life jackets available. Shorter stays may be available during Xmas period - preference given to 7 day minimum. Beautiful weekend away! Perfect for what we needed. Beach front and the sound of the ocean waves was amazing! Our second stay here, great! Already contemplating our return. Dealing with Rachel is so easy, taking our Schnauzer is a breeze because there is a fenced yard, the swimmng is fab, the tranquility is to die for. Love this place. Excellent location.very clean and tidy Bach. Would certainly recommend it. Great view. Good communication and place was nice. We didnt want to leave!!!! The beach shack is classic , small but has everything you need and is right ON the beach. Its so nice that places like this still exist and we hope the owners will continue to maintain a simple but perfect beach bach. we will be back!